LED 12V G4 2W capsule lamp constructed with a silicon body. 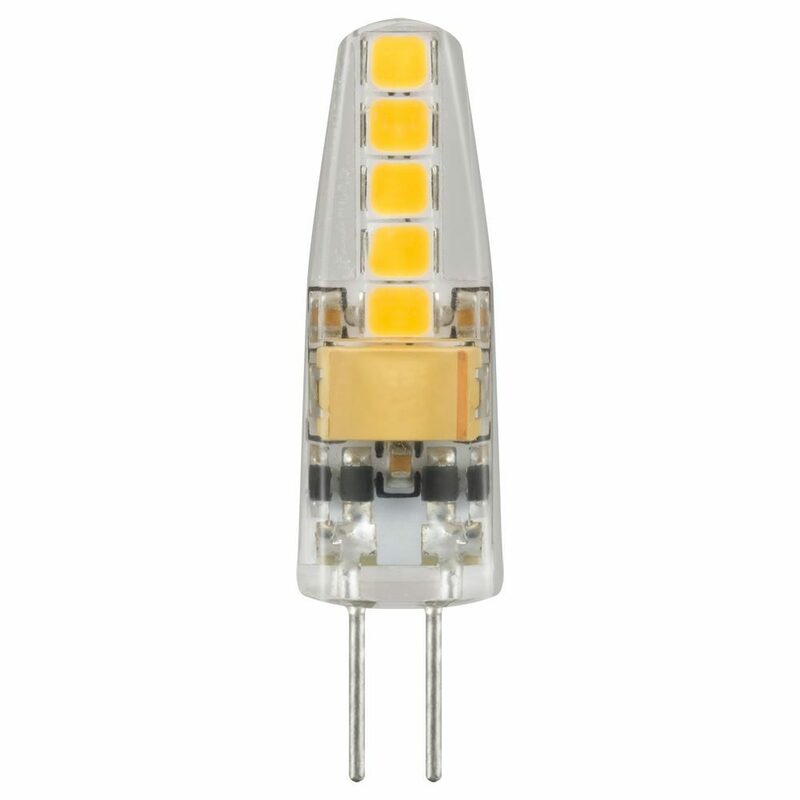 Featuring a miniature design that closely resembles the shape and size of a halogen G4. 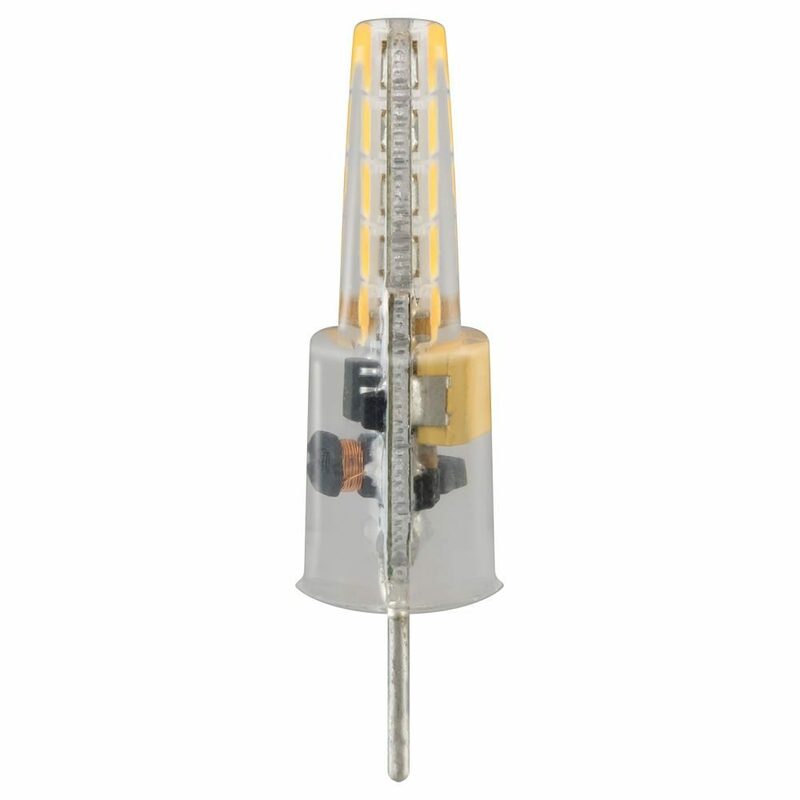 Ideal for direct retrofit into display and accent light fixtures. 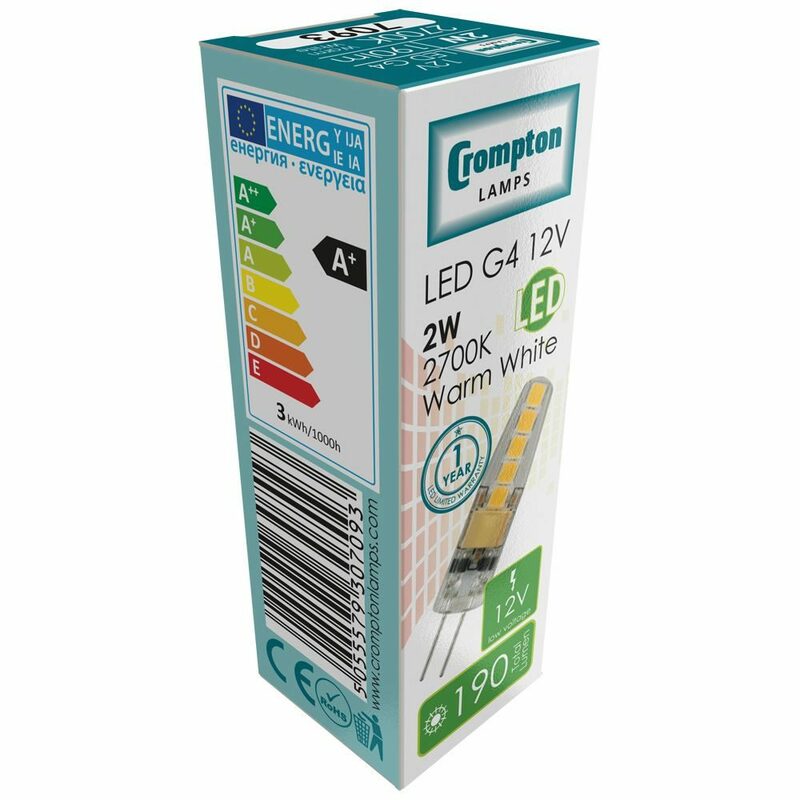 Important Information: Crompton 12V LED G4 lamps will operate with most 12V transformers. However, some 12V transformers may have a minimum required load which may not be met when installing low powered LEDs; these transformers may cause flickering or the LEDs not to function correctly. If in doubt, Crompton Lamps can supply a suitable driver (Part number: LEDDRIVER10W) which is guaranteed to drive 5x 2W LED G4. Low voltage 12V lamp. The lamp will operate on most AC or DC 12V transformers. However, some 12V transformers may have a minimum required load which may not be met when installing low powered LEDs; these transformers may cause flickering or the LEDs not to function correctly.